Sorry, I have been MIA for quite a few days. I have this awful cold that I just can’t get rid of and its really put a damper on our time on the island this past week. Unfortunately, we haven’t been able to do all the fun things that we like to do, but we are trying to make the best of it while I take it easy. 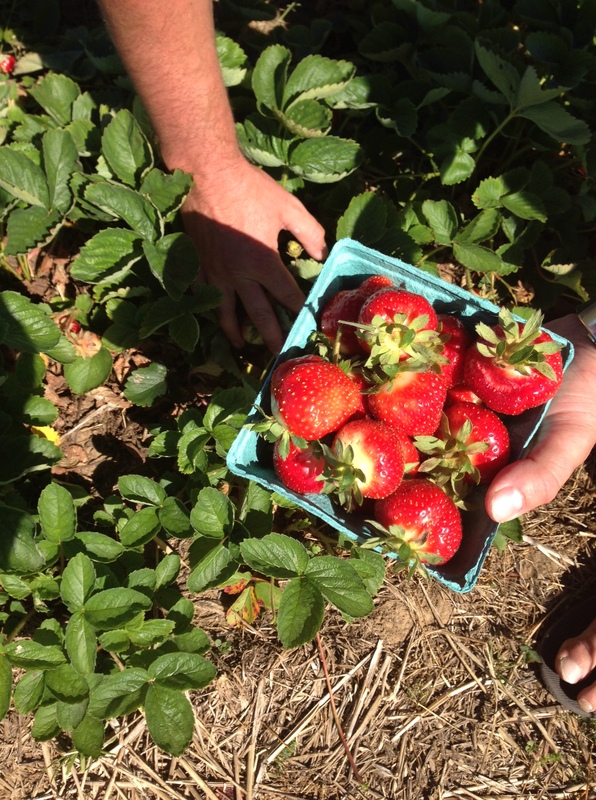 Taking it easy, meant let’s go grab some fresh strawberries at Bartlett farm in Nantucket. 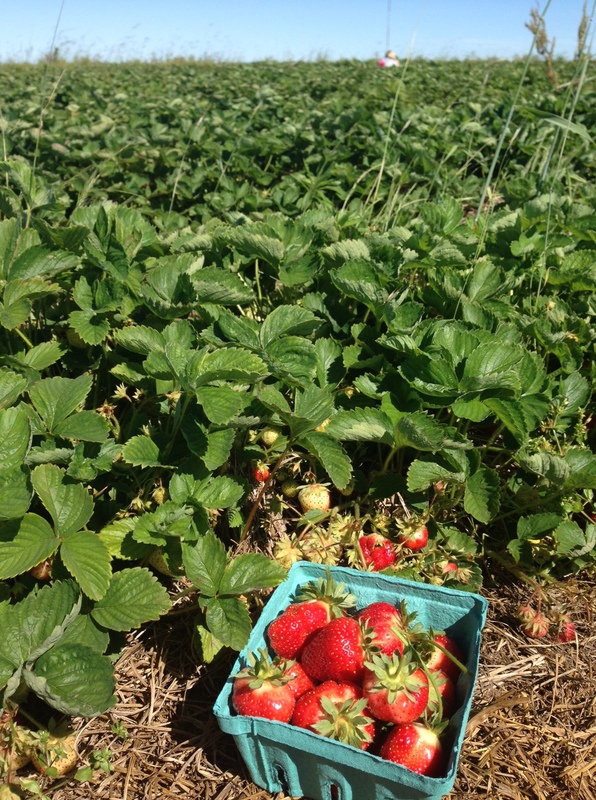 We were able to go out into the field and pick these wonderful fresh strawberries that were fantastic! I threw together this quick, easy and somewhat healthy a few nights ago. 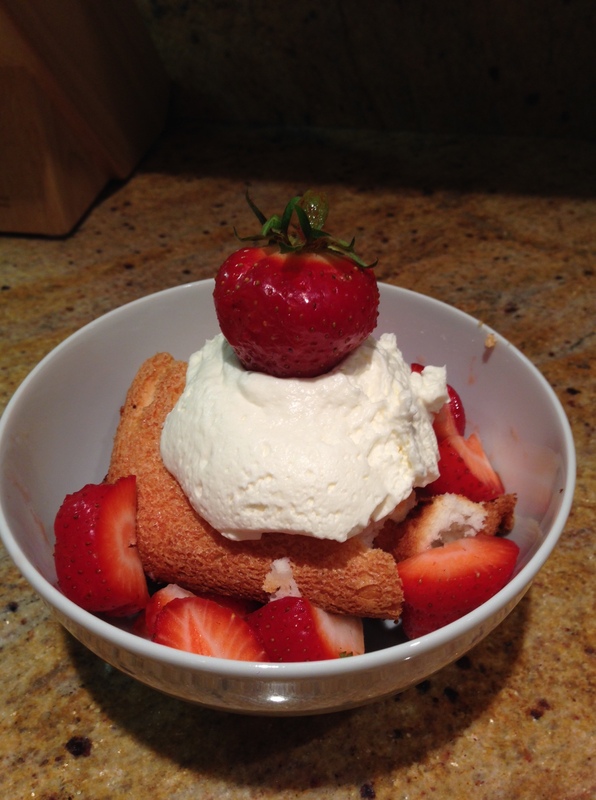 Strawberries with angel food cake and fresh whipped cream! Delightful! Pour whipping cream into a medium to large sized bowl. Beat the cream with an electric mixer, about 3 to 4 minutes, until it starts to become firm. Then add the powdered sugar and continue beating. Once the powdered sugar is mixed in add the vanilla. Continue beating with electric mixer until your whipped cream is firm, but smooth. About another minute or two. You don’t want to over beat it because it will turn to butter. Let me know what you think of making your own Fresh Whipping Cream. It is so good, I love it. I always love hearing from you. ← Cold Brew! Just like in Italy!